Have you heard the Slick Rick album? Lima's Gansta Marcus decides to end the 2017 year with the release of "Slick Rick" going into all digital media platforms. Slick Rick was a long awaited album put together by Gansta Marcus over a period of time. It comes with nice home studio sound that brings you to your feet. Be aware! This is not your ordinary Gangster rapper you expect to hear. Some of the songs may be radio versions, some may be swagger style, while other tracks may just talk to the ladies. I guarantee you will not be disappointed in the work that was put forth to create this album. 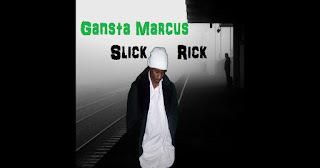 Gansta Marcus is one of the most known unknown artist today. The Lima, Ohio native have went unnoticed for quite some time now! Listen in to the full album below provided by Spotify. What ever your music preference is when listen to new albums, Slick Rick is among them. We have listed links below to help find the right platform for you. Be sure to join our following online also.